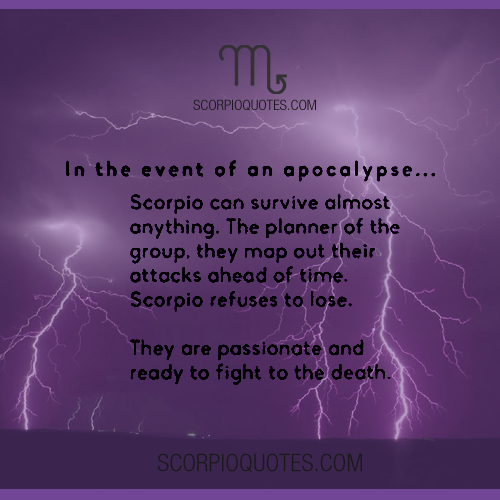 In the event of an apocalypse, Scorpio can survive almost anything. The planner of the group, they map out their attacks ahead of time. Scorpio refuses to lose. They are passionate and ready to fight to the death.